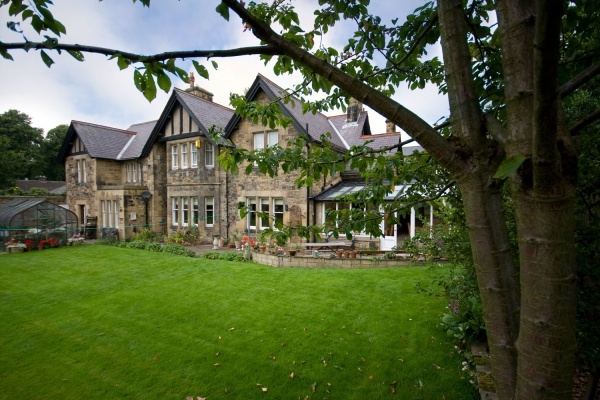 This attractive and spacious 6 bedroom Victorian property is situated in the market town of Alnwick in Northumberland. This delightful character guesthouse, tastefully furnished throughout, sits in the heart of the Alnwick Conservation area and is only a two minute walk from the town centre and local amenities, including a wide range of good restaurants. Both Alnwick Castle, the second largest inhabited castle in England and known as the Windsor of the North, and Alnwick Garden are readily reached on foot within a further short stroll. 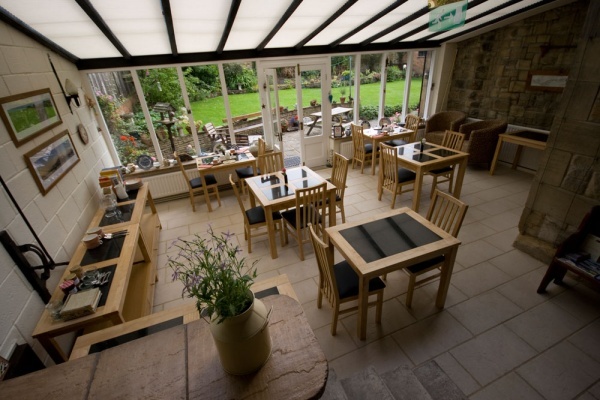 Award-winning, 'Produced in Northumberland' accredited, locally-sourced breakfasts are served in the light and airy Garden Room which has doors leading onto the patio. The garden itself is south facing with ample seating where guests can enjoy the early morning or late afternoon sun as they plan their activities. All bedrooms have en suite shower rooms. They are equipped with colour TV with Freeview and DVD, radio/alarm, hairdryer and tea/coffee making facilities. No two rooms are the same size and this is reflected in the differential tariffs. Single Room: This delightfully furnished, spacious single room has the benefit of a double bed, accessible from both sides. There are two steps down to the large en suite shower room. Very stylish. 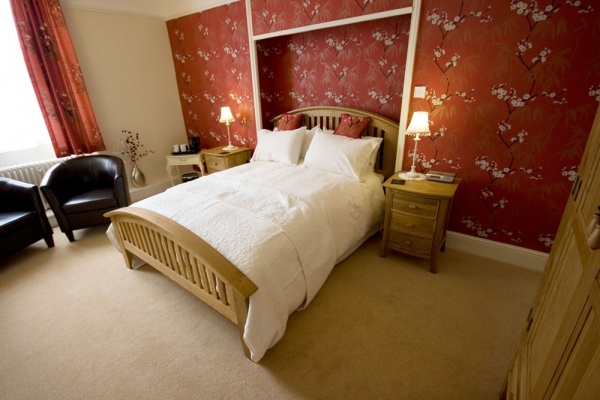 Blue Room: A tastefully furnished double room with double bed and two easy chairs. Red Room: A large double room looking out onto the garden. It has a kingsize bed, a matching bedroom suite in American oak and two leather tub chairs. 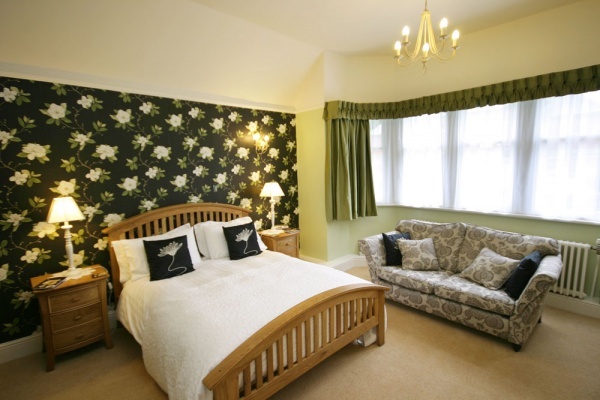 Green Room: A very large double room with bay window overlooking the garden. The room has a kingsize bed and furnishings in American oak, with a comfortable two seater sofa. Twin Room: The twin room is accessed from the corridor down three steps. It is furnished with white-washed cane furniture. Yellow Room: This room is also accessed from the corridor down three steps. It is a spacious room with a king size bed and matching oak furniture, large coffee table, 3 seater sofa and large TV. Alnwick is historically known as the capital of Northumberland as it lies centrally in the county. 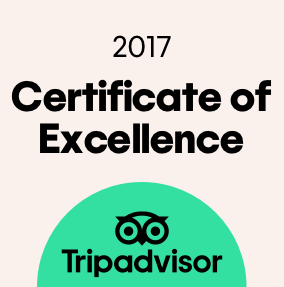 It is an ideal base for exploring the beautiful Northumberland coast, including the Farne Islands and Lindisfarne, and countryside from the Borders down through Kielder to Hadrians Wall. Northumberland is the least populated county in the country but is blessed with the most castles, including Alnwick, Bamburgh, Warkworth, Dunstanburgh and Lindisfarne (Holy Island). It was to Holy Island that St Aidan introduced Christianity when he founded the first monastery in 653 AD. Enjoy the tranquility and the history of this beautiful area. A very pleasant B&B close to the centre of the town with parking outside. 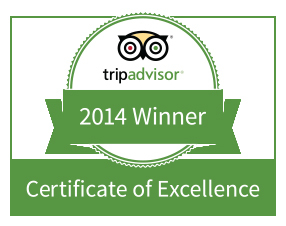 The welcome is very warm and the rooms are beautifully furnished and spotlessly clean. Nothing is too much trouble. Breakfasts are very good, possibly the addition of porridge to the extensive menu would be nice. I love this place so much, they have everything thought out. They are lovely hosts as well. The breakfasts are the best around in a lovely setting. The rooms are very clean and so comfy. I especially wanted to thank Audrey for making our stay so good as I had problems with my hips and letting me use the extra comfy mattress topper. Please book with these guys if you want the best stay. I will be looking forward to my next stay alot. Greycroft is an outstanding B&B which I would recommend without any reservation whatsoever. It is a character B&B in a lovely, quiet part of Alnwick. From the friendly welcome by the owner, to the breakfast room with stone floor and picture window overlooking a beautiful walled garden, to the amazing breakfasts and beautifully appointed bedrooms, this B&B will not disappoint. I would rate it as 5* plus(!) and definitely intend to stay for longer next time. The most ideal place to stay would be somewhere not so busy that it makes it impossible to get a good night's rest, but not so remote that it makes it difficult to get to places. It takes less than 10 mins to walk to Alnwick Castle, to the town center, and to other popular attractions of this quaint town. Bonus points for being a block away from the coziest pub I've ever been in. Most people wouldn't even consider this but as a foreigner who doesn't know what to expect, this is a huge deal. I'd give them 5/5 for safety. Why? They're across the street from the town's police station. The whole place is carefully thought through. It's all in the other reviews but I must add how comfortable the bed is. Of course, the award-winning breakfast was superb. They take the time to source their ingredients properly and find the best possible local stuff. The kipper was excellent (my first), and full English Breakfast worthy of the title. It has probably ruined my future English Breakfasts in the future though. To sum it up, Tom and Audrey are wonderful. You can find excellent customer service in many places but genuine warmth and eagerness to help is hard to find. Greycroft is a destination in itself.